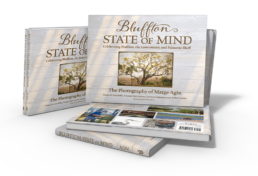 Check out this months issue of the Bluffton Breeze which features the extremely talented Lowcountry Photographer Marge Agin who is also the Author of the visually stunning new gift book Bluffton State of Mind. 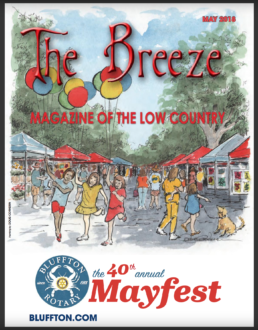 Marge will be on hand to personally scribe your books at the Bluffton Mayfest this weekend Saturday, May 12th 10am-5pm. Don’t miss this opportunity! We look forward to seeing you there! View the entire issue and original article (pgs. 18-21) in The Breeze here.